Whether you’re a small business owner, an entrepreneur, a craftswoman, or an artist, we all have one thing in common – we are creatives. We are called to create, and compelled to bring new and exciting things into the world. We honour that invitation from the universe to tell our story and share our gifts. And one of the bravest, most foolish, most wonderful things we can do is turn our creative passion into a full-time job. That’s the dream, right? So we hustle, and we hustle hard. We do up spreadsheets, we learn about SEO, we scour Pinterest for tips and guidelines. We rent studio space, we get business cards printed, we network and build our personal brands. The creative selfemployed are some of the hardest-working folks on the planet, and it’s all a labour of love. It’s all so we can spend our days creating. But creativity and inspiration are unpredictable. Sometimes we have all of this newfound knowledge that we want to use; the right strategies and a fabulous plan ready to go – and we find ourselves with nothing to offer up. No matter how much you might wrestle with yourself, trying to recapture the magic, nothing seems to work. That passion, that creativity that got you started, seems to have disappeared into the ether, and you’re stuck. So what should we do when we hit the wall? 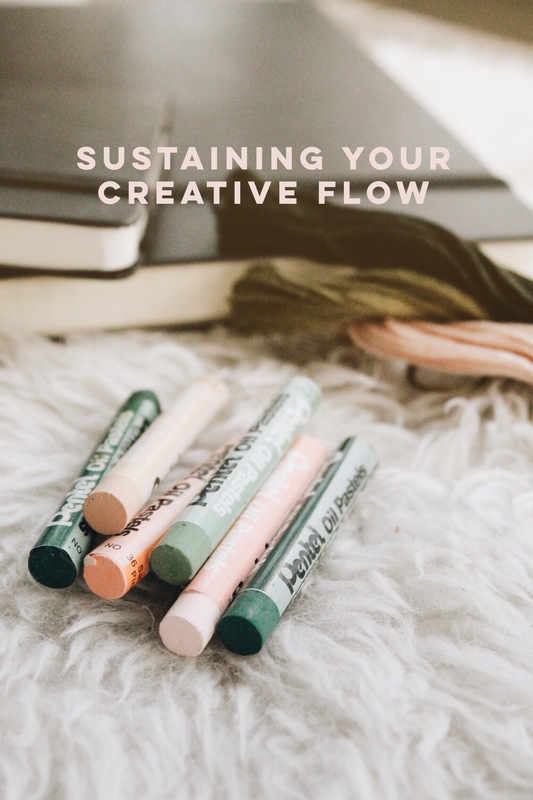 Here are a few foolproof strategies to work through your blockages, reignite your creativity, and to remember why you started in the first place. Remember that nothing in nature blooms all year. There is a season for rest, a season for growth, a season of gorgeous, bursting creative output, and a season to let go. Give yourself that same grace. When it’s time to grow and rest, devour inspiration. Walk through museums and art galleries, attend talks, go to the theatre and the symphony. Read books, listen to new music, scroll through Tumblr or your favourite blogs. The more perspectives you encounter, the better your own work becomes. Exploration helps you grow as a person and as a creative. Do something completely different from your usual creative output. Write a poem, go to a painting class, learn how to make paper, try yoga. The possibilities are endless. Flex that creative muscle! It doesn’t matter if you’re good or not, the lessons you learn or what you create could completely inspire and rejuvenate your regular practice. Don’t wait for your muses to visit you. Those gals are as fickle as tomcats. You have to push through your blockages, and clear out the mud from the river of your inspiration. The only way to do this is to work. Listen to your intuition – you’ll know when it’s time to sit down and slog through your creative block. You’ll be sparkling again in no time. Paige Leigh Reist is a writer, DIY enthusiast, and aspiring Renaissance woman living wholeheartedly in YYC.